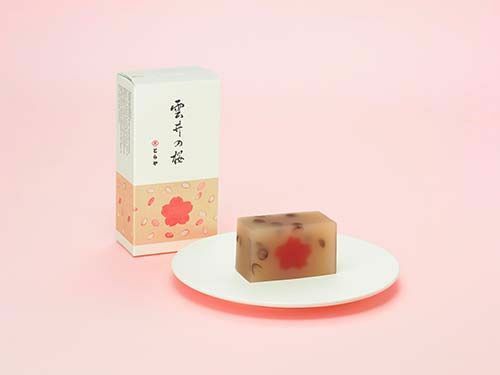 Spring is often marked with the arrival of flowers – particularly the sakura (cherry blossom) – and this is the time when restaurants, cafes, and confectioneries release limited edition products that feature the sakura, from sakura latte to sakura jelly and cakes. 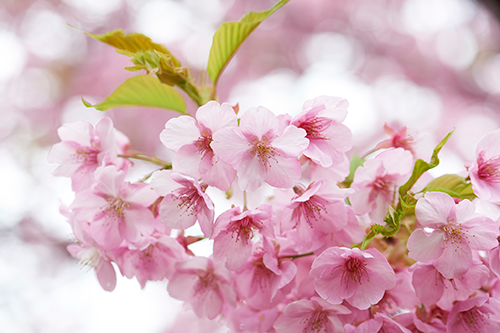 Japan has a love for all things sakura, which imparts a subtle sweet fragrance. Why not opt for wagashi (traditional Japanese sweets) –from classic mochi to higashi and manju – that capture the essence of Japan in spring? 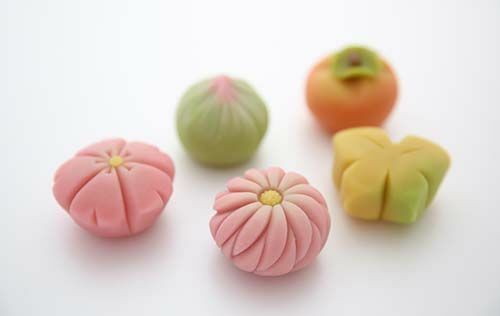 Wagashi is typically made from plants such as red beans, fruits, and rice, often best served with green tea. 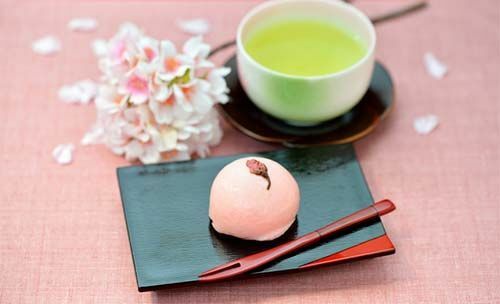 Usually available from March to April for the cherry blossom season, spring wagashi is readily available, whether it’s a street vendor, departmental store, or a traditional Japanese confectionery shop where you can savour the sweets almost everywhere with a cup of green tea. 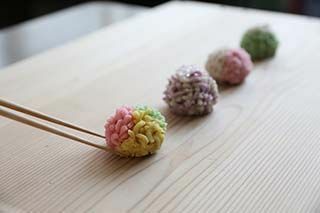 Perhaps the most ubiquitous dessert in Japan, dango is a chewy mochi rice ball that’s usually skewered in threes. 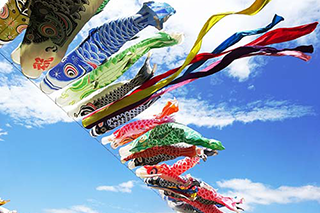 They’re eaten throughout the year, popular during celebrations and festivals. In spring, you get the hanami dango, which may be the inspiration behind the famous proverb ‘hana yori dango’, meaning that food comes before beauty. Due to its popularity, there’s also an emoji (). representing the dango. representing the dango. 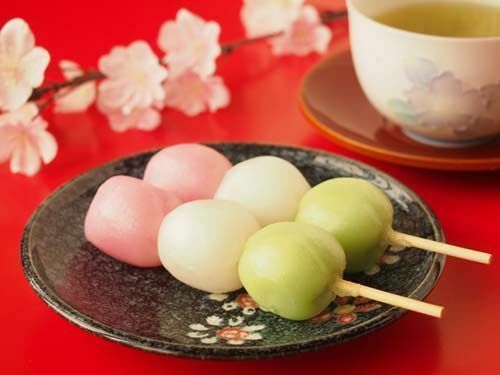 Normally eaten during cherry blossom viewing season, hanami dango is characterised by its three colours: pink, white, and green, representing the cherry blossom in spring, snow in winter, and grass in summer. 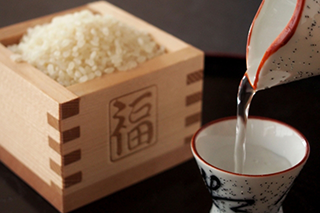 The flavour is mild, and not too sweet, making it a perfect accompaniment to green tea. 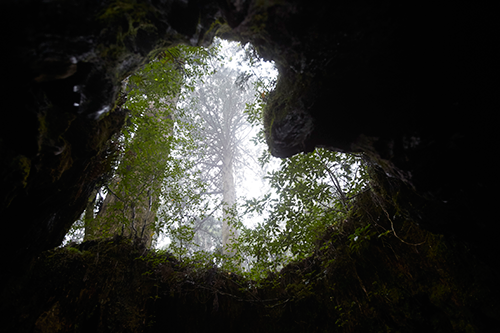 While mochi is available throughout the year, sakuramochi is usually only available during spring and traditionally eaten at flower-viewing parties. 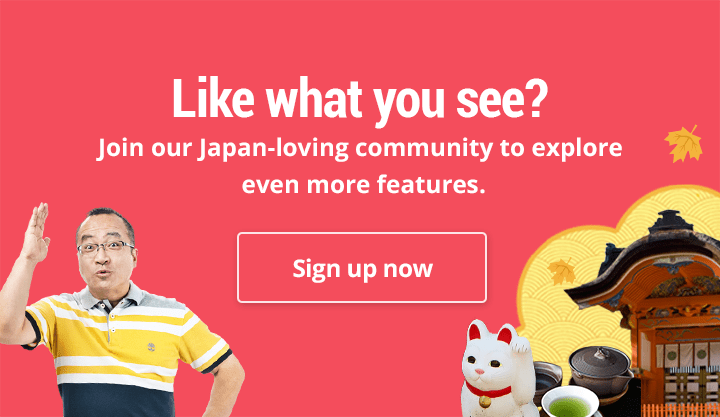 There are two different versions of sakuramochi – the Kanto-style Chomeiji which originated in Tokyo, and the Kansai-style Domyoji which came from Kyoto. 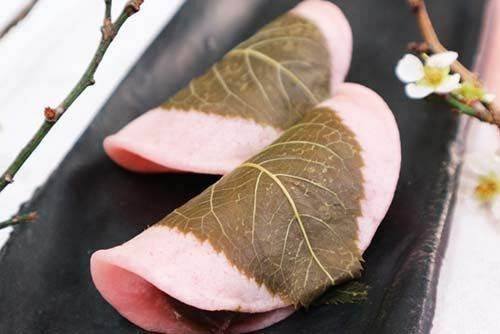 Both versions are wrapped with an edible cherry blossom leaf that’s been pickled in salt. Chomeiji is basically a thin piece of dough made from shiratamako (rice flour) folded over a dollop of red bean paste, and originated from a shop called Chomeiji Sakuramochi in Tokyo which was established in 1717. You can enjoy the snack with green tea in the shop. 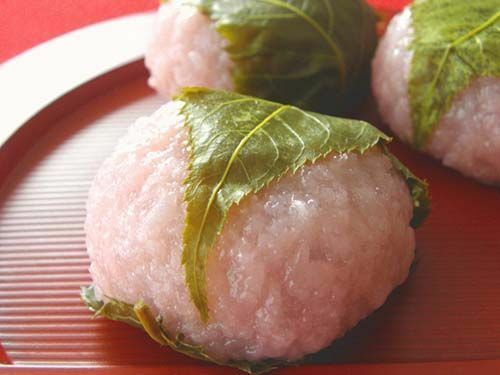 Domyoji – named after its origin at the Domyoji Temple– is textured ball-shaped rice cake made with domyojiko (a glutinous rice flour) filled with bean paste. If you’re in Kyoto, a famous shop where you can is Tsuruya-Kotobuki (link in Japanese) in Arashiyama where sakuramochi was first sold here. Yokan – or a bar of gelled sweet bean paste – is one of the most traditional Japanese sweets with a history of over 200 years. 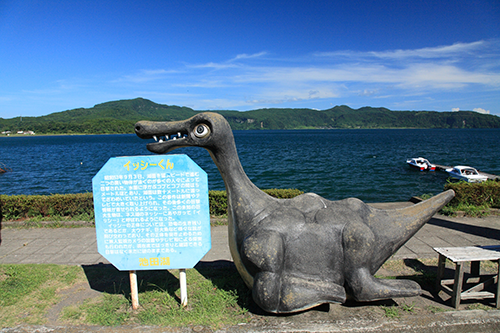 It’s often a popular gift item in Japan because it can be stored for long periods of time without refrigeration. 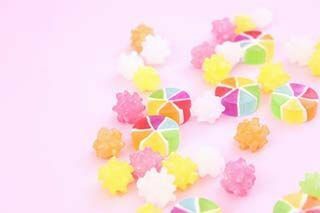 In spring, you can find limited edition sakura yokan; the appearance varies depending on the store. Some are simply coloured pink and have sakura blossoms in them, while some are elaborately designed, like the limited edition Kumoi no Sakura yokan from Toraya (established in the 16th century in Kyoto) – each slice of the yokan displays a fully-bloomed cherry blossom image. Higashi is made from dough and wasambon sugar, which is formed in a mold with patterns unique to each wagashi maker and then dried. This dry confection is enjoyed for the way it quickly dissolves when placed in the mouth. 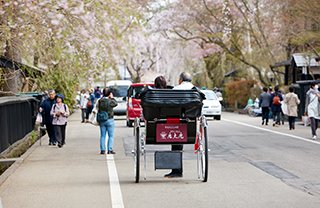 You can find pink higashi in the shape of cherry blossoms and buds during springtime. 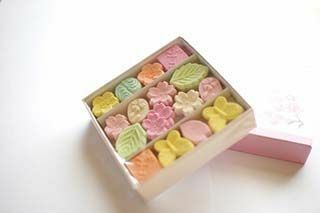 Nerikiri is made from rice flour, sugar, and white bean, and molded into pretty shapes such as flowers or birds to represent the seasons. There are various of the nerikiri but the sakura nerikiri is only available in spring and is normally served with matcha during traditional tea ceremonies. 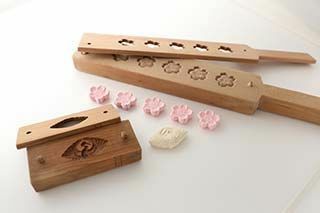 At Kyoto’s Kameya Yoshinaga, not only can you get seasonal sakura nerikiri, you can also try your hand at making them! 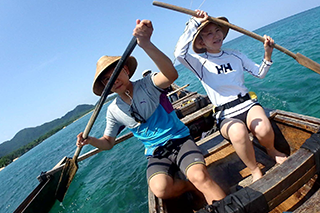 You can also watch how they make higashi, and sample the sweets with green tea. A monaka consists of red bean paste sandwiched between two slightly crunchy baked wafer cakes made with mochi flour. The shapes of monaka depend on the shop – most of them are circular, although some are molded into interesting patterns and shapes. 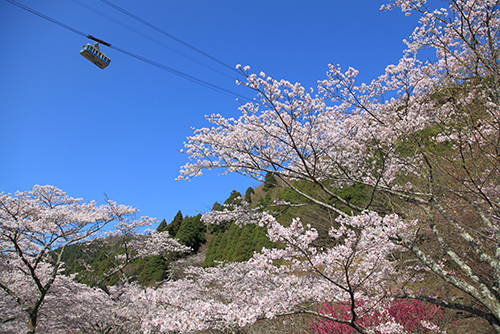 In spring, it’s common to see sakura-shaped monaka which are usually pink and filled with sakura-flavoured red bean paste. Some shops – like Tokyo’s Awaya Soubei (link in Japanese) – use a white bean paste with cherry blossom liqueur, sandwiched in chewy wafer. A classic staple of food vendors at hot spring towns, manju consists of red bean paste stuffed in a bun of flour dough and then steamed. 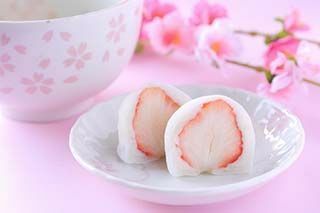 In spring, you can get sakura manju which has a light pink dough – some varieties contain pickled and salted cherry blossom in the bean paste, while some only have a salted cherry blossom that decorates the top of the bun. There are plenty of wagashi stores dotted around Japan, some dating back hundreds of years. 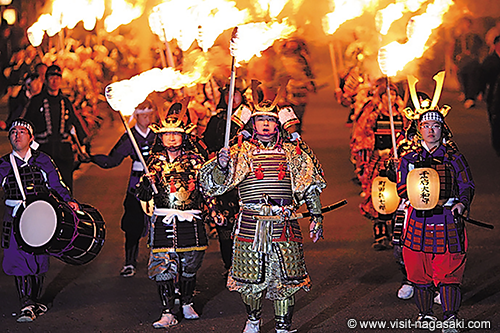 While many popular ones are located in Tokyo and Kyoto, you can also find renowned wagashi makers with rich history in Kanazawa (Ishikawa Prefecture), Iida City (Nagano Prefecture), Nagasaki City (Nagasaki Prefecture), and more. Some regions are famous for particular types of wagashi; Aichi Prefecture is famous for uiro (steamed cake), Saitama Prefecture for dango, and Okayama Prefecture for kibi dango (chewy mochi buns). Many wagashi make for great souvenirs since they often come in beautiful packaging; wagashi can also be savoured at some stores where you can pair them with matcha green tea in a traditional atmosphere. Look out for limited edition spring versions that contain sakura!